The app that brings your AR project to life! Publish your AR project to the world with the Wikitude App! The Wikitude App empowers businesses, brands and agencies to publish augmented reality campaigns within a matter of minutes. In combination with Wikitude Studio Editor, anyone can quickly and easily create augmented reality projects. The best part? No coding skills required! 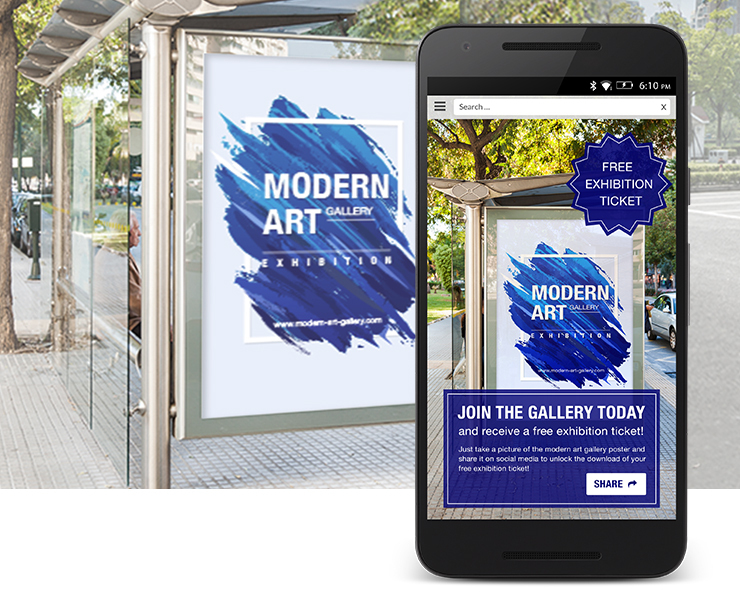 Add digital content to packages, banners, brochures, magazines, books, labels, and all sorts of image targets and empower your audience to see more! The latest Wikitude SDK enhancements allow you to augment not only images and small objects, but scenes such as rooms, buildings, landscapes, or industrial sites as well. From machines, tools, and toys, to decorations, retail products, and other large scale objects, the Wikitude App empowers augmentations of 3D targets. Utilizing Wikitude’s powerful in-house built recognition and tracking engine, you can provide consumers with rich media overlays like videos, widgets and 3D models, or augment simple images, buttons and texts. You can make your messages more interactive and catchy, add a sense of wow to your communication and create compelling end-user experiences. This will bring you one step closer to gaining new customer leads, loyalty and will help drive sales! Start publishing your own AR project today – yes today! Studio Editor is your gateway to creating digitally augmented content and unlocking it to the world. Without the need of any programming skills, marketers can now hop on to the web, log into Studio Editor, add their targets of interest (images, objects, scenes), include the various augmentations, and create an AR project in as little as 10 minutes. Wikitude provides solutions for small businesses right on through to large enterprise organizations with minimal cost and effort. A fundamental benefit of the Wikitude App is that it enables to easily publish Augmented Reality projects created in Studio Editor for a modest monthly fee. Moreover, projects monitoring and reporting are supported thru Google Analytics. 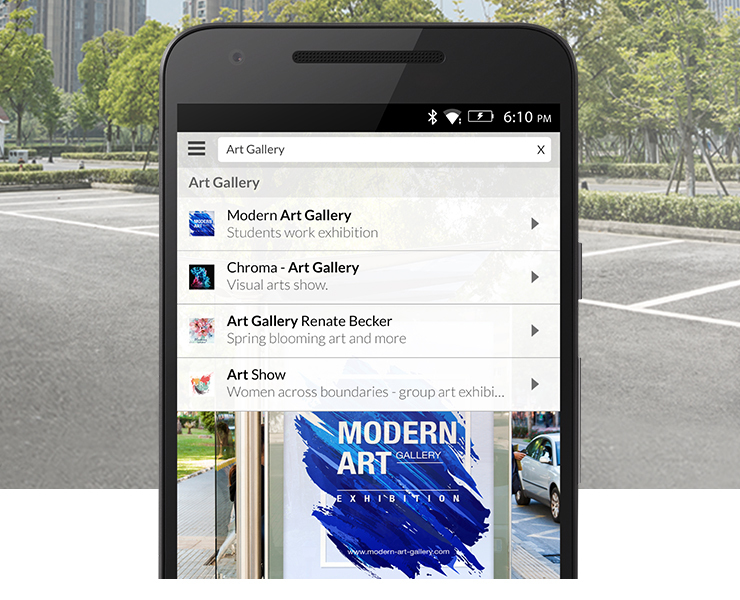 After creation, the augmented reality project is easy to find and access in the new Wikitude App via a Search Code. Employees, customers, and prospective leads can start visualizing all sort of augmentations around images and objects. If for example, you own a runners sports store, the code could be “running shoe”. Once typed into Wikitude’s Power Search, your AR Project will come up immediately. The Wikitude App, together with Studio Editor, is a winning combination for brands and businesses wishing to easily publish augmented reality experiences to a broad audience. 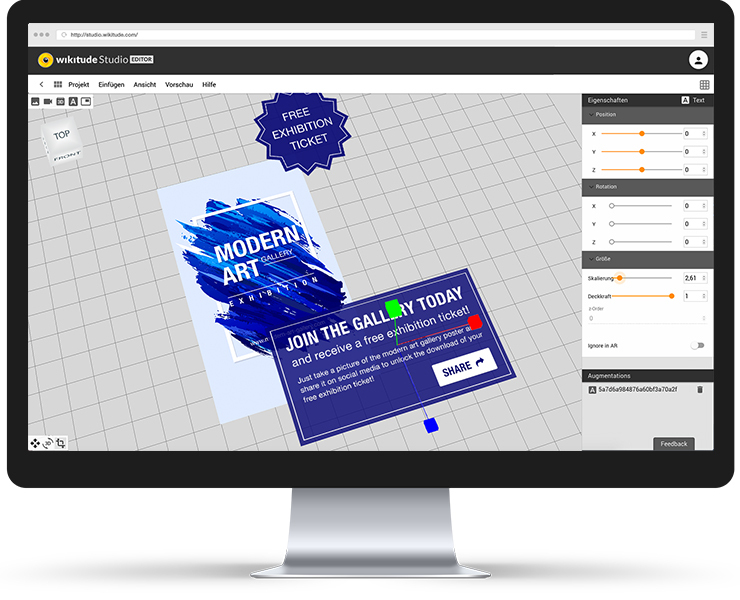 While Studio Editor allows you to create and manage your AR project, the Wikitude App serves as a handy publishing platform, enabling anyone to publish AR experiences with no programming skills needed.